Am I eating enough, or too much, on my riding days? I’m rapidly approaching an important milestone, dropping 10 of my 30 pound weight loss goal, but it’s getting to be somewhat hard going. I can’t say that I’ve plateaued yet, but I’ve been hovering in the low 230’s for a few weeks. Don’t get me wrong, I’m not complaining here. I’m damn happy to have lost what I’ve lost and I feel much better than I have in years. Plus my jeans are getting loose. 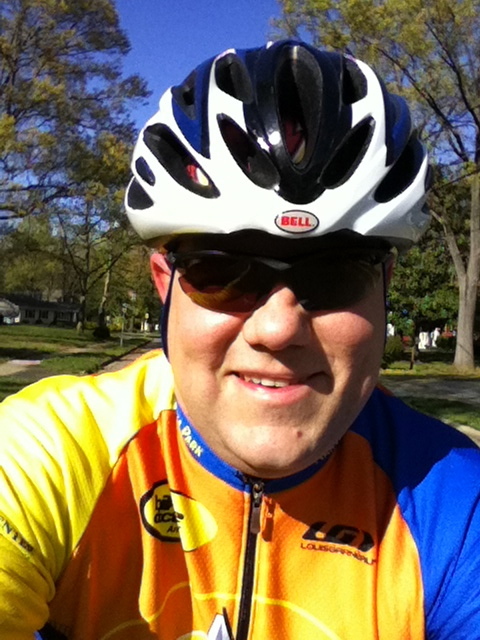 I have been putting in a lot of miles lately on the bike – about 65-75 per week – which is a lot for me. In January, I rode a paltry 12.9 miles – one ride. It wasn’t even cold this year, but I was in a real funk. February was a bit better at 25.8 miles (two rides, still in a funk). In the month of March, things turned around – or rather I turned them around – I hit 197 miles. As of today I’m at 113 for the month of April. My year to date total mileage is 323 miles on the bike. Not bad, considering last year I only pulled 899 miles for the year and didn’t even get on the bike until April. As my cycling has kicked up, so has my appetite. I’m trying to do all the right things, fueling up before the ride with some real good complex carbohydrates. Drinking plenty of liquids packed with electrolytes on the bike. Eating a combination of protein and carbs post ride. And still I’m finding it difficult to drop additional pounds. It has occurred to me that I might be packing on muscle weight in place of fat – a thought that I kind of like – but I’m not sure that’s what’s going on. My typical daily intake on the days that I ride follows. My rides are between 60 and 90 minutes long usually at a pace of 14-17 miles per hour. So the question comes up, am I not eating enough before the ride? Am I not eating enough after the ride? Are the beers killing me? I’m doing the weight watcher’s program and I have a very difficult time staying within the daily points allotment on days I ride, but that’s supposed to be okay cause I get points for the exercise and I stay within them. I’d welcome advice in the comments. I *HATE* to go there but I must….. If beer at dinner is a daily event, I’d suggest giving that up before changing any other part of the above formula. Besides the carbs and calories the alcohol monkey’s with your metabolism for several hours after and may be affecting your sleep too. Even if you don’t “feel” like it is affecting you in that way. We all know how difficult cold turkey is. Soo… reward yourself for a week of good behavior with a serving (or two) of top shelf bourbon on the weekend. See ya on the roads. Mike beat me to it. I’d try this as well and see how it goes. Not total abstinence, but cutting back. With any luck, you may see me on the roads at a group ride soon. Good luck with the Fleche ride this weekend. Dude, You didn’t hear this from me but I couldn’t get weight off until I (mostly) knocked off the weekday beer. In my case the beer throws my appetite into overdrive and I tend to not only have a couple of brews but I also then hit the kids snack cabinet. Everyone is different but I couldn’t get weight off until I combined pretty regular training with a reduction in my favorite beverage. You’re right, I didn’t hear that from you. Yup, drop the two beers. I try to limit the beer to the weekends. I also read drinking green tea helps with metabolism. Oh, and living a completely stress free life. Should be attainable, right? Keep up the good work! I’ve been taking the “long way” to work and packing in 10 miles before hunkering down and coding all day. Life is much less stressful than it used to be now that I don’t have an hour and a half commute, but it still isn’t stress free. As long as the long way doesn’t involve Howard Street and North Ave, its probably good for your health. Nope, not quite that long! I drop down University to San Martin Drive at Hopkins. Nice windy, hilly road. Then back up Keswick and across the avenue, drop down 37th street to work. I know that area, it’s the part of Hopkins campus that actually feels like you might not be in the city. Sometimes the advice that you need to hear most is the advice that’s hardest to hear. I know that the beers are a big part of the problem – in fact I knew it as I wrote the post – just hate to face up to it. Thanks. You can also try logging your food intake into myfitnesspal. There’s a phone app or desktop versions. I wear a Polar FT 7 heart rate monitor…you put in your age, height, weight and then it shows heart rate, calories burned, fat burned, etc. It’s been a useful tool in helping me know when to cut back or speed up, aerobically. Cheapest price I found was on Amazon. I’ve actually been using the Weightwatcher’s program – online version – no meetings just the program and the online tools/iphone tools. It’s very useful to track the intake. I don’t have any monitors, but I’m considering getting something that mounts to the bike and has sensor capabilities.